How in tune are you with your business’ public relations department? How about content marketing? A common mistake many businesses make is thinking that these two elements are essentially something that go hand in hand – you treat content marketing in the same way you treat public relations, and vice versa also applies. The reason is that both rely heavily on two important aspects of business: brand visibility and communication. Because of this supposed similarity, businesses also treat how they are handed in the same way. It’s not uncommon for business owners to delegate their PR responsibilities to one person they bring in to the company, or giving PR control to a much bigger agency. Trust that you won’t find many big name companies that handle their own public relations without some outside force acting on the issue – and that’s pretty smart. Think about handling your content marketing in the same way: you create content and ship it off to a large agency to disperse, or you sit it all on the desk of an in-house content marketing person who deals with it in ways they see fit. It’s not on your plat anymore – isn’t that what matters? This decision at first seems very smart – if you aren’t in tune with content marketing, shouldn’t you pass the torch to someone who is? A big agency based on content marketing exists solely to do work based on their purpose, and in-house hires usually have some expertise in the area of marketing. On its face, both of these solutions sound logical, but in reality? They aren’t. 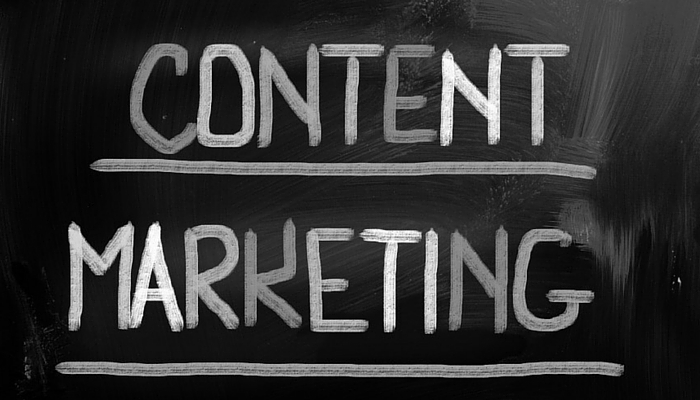 Content marketing is something that’s more or less an untested science right now. Are there tried and true methods that do work? Sure. It’s not as if there aren’t knowledge pools on how to run a successful marketing campaign, but it’s definitely not like print media where there’s years of examples to fall back on in terms of what works and what doesn’t. This means that hiring one person isn’t going to work. Now for a big agency. As great as it would be to just send off all your worries and woes to a company instead of handling it in house, content marketing websites and agencies are very impersonal. Some can show you statistics and give you diagnostic reports, but nothing like the great capability of seeing the data for yourself and removing the middle man in the process. Here’s the real truth: you don’t need one in-house person you bring on to do the work. You need three different people within your business who truly understand your brand to take on the three key content marketing tasks. That’s how you really achieve success with a content strategy. A content strategist needs to be in place to actually map out the plan for your content. This isn’t as simple as “write this content on this date and tweet about it ASAP” – no, content marketing strategies require in depth thought. This job goes to the person who asks the tough questions: who is the audience we need to target, what is the voice of our brand, how will we measure the success of our marketing and what is the goal of this marketing strategy? Someone who can execute the content is also necessary. Not just anyone can craft the content you need to succeed. There are high standards for content on the Internet, simply because it’s a vehicle for information overload. A content crafter knows exactly how to attract audience members who are already bombarded with all kinds of content on a daily basis – but they’ll certainly be clicking on yours. Someone who handles content integration is another key part of this puzzle. When this is your role, you’re consistently updating the rest of the company about your content strategies. Content marketing is something that should fit into every part of the company, so other sectors have to know about these strategies in order to fit their own jobs around them. This promotes the team-mentality of a business and overall business communication. Now you know the three main areas you need to focus on and how these jobs all interact with each other. Now the question is this: how do you fill these positions if you aren’t using in-house freelancers or agencies? Don’t just hire someone you think of as an outsider. Hire more employees and induct them into your business. Make sure they work well together, and help integrate them into the workplace as permanent additions to your task force. Consider hiring a content manager. This is someone who can oversee the team you need to promote your content marketing strategies. This will help you with your overall synchronicity, and it alleviates the need for you to check in with three different people – now you only have to handle one. Also, it’s important to note that content managers can help you avoid a lot of basic content mistakes your team might make.